Last week, our amazing team at Clementine Communications launched Neptune Rum, The World’s Most Awarded Rum at Pop Brixton, alongside the fabulous founder Richard Davis. Caribbean food was served by Mamas Jerk, who created rum infused jerk chicken especially for the event which went down a storm alongside other tasty treats. The nibbles were paired with a selection of cocktails which included classics with a twist such as Rum Old Fashioned and Rum Espresso Martinis. Douglas Blyde, Drinks Columnist at Evening Standard and Rebecca Seal of Sunday Brunch were in hand to host a spirited discussion with Ian Burrell, Global Rum Ambassador and the Neptune team – guests learnt more about the background of the brand, the origins of the rum and the best ways to enjoy the drink, all while sipping a serve on the rocks. 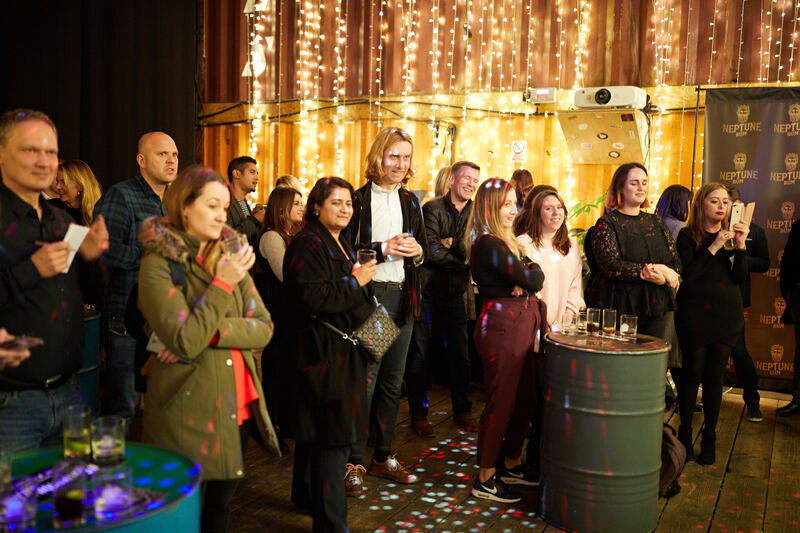 We would like to say a big thank you to Neptune Rum, Douglas Blyde, Rebecca Seal, Ian Burrell, Pop Brixton, Mamas Jerk, and all the media, buyers and friends that partied on until the early hours of the morning celebrating with us and making the night such a success. Please read below to discover more on the origins of this amazing Rum. Picture this, a sailor waking up after a violent storm, to see the sun breaking through the clouds and a vision of the god Neptune making sure you are safe on the shore – a bottle of Neptune Rum lying next to you in the sand. This is the dream that inspired founder, Richard Davies, to start something new and create Neptune Rum, an exceptional new product made for the modern adventurer. Now Neptune has established itself as the world’s most awarded rum this year – just recently having won Best British Rum Brand 2018 in The Golden Rum Barrel Awards and Barbados Rum of The Year 2018. With other accolades also pouring in from the likes of the San Francisco World Spirits Competition, where it won double gold, and it was awarded a Masters in the 2018 Spirits Business Awards. 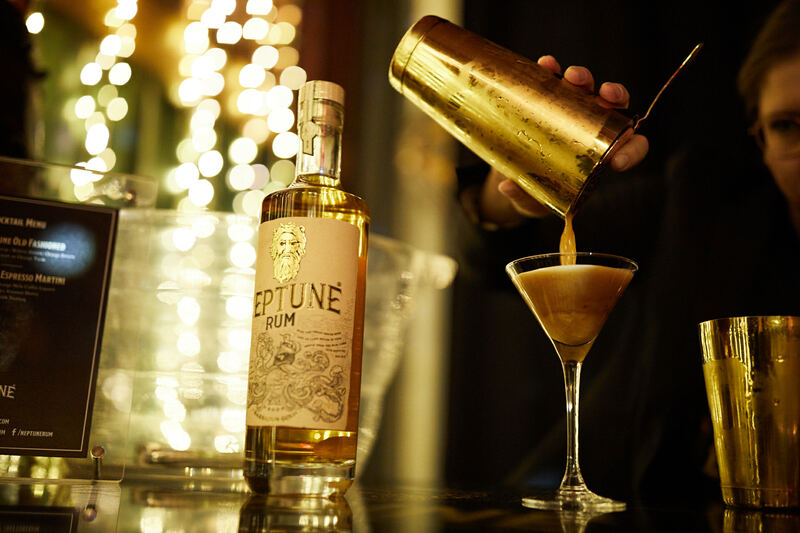 Created from pure sugar cane molasses in the oldest distillery in Barbados, a family owned concern set on the southern slopes of the island, Neptune is both smooth pot and column stilled – before being aged in American Bourbon Oak casks for up to eight years. 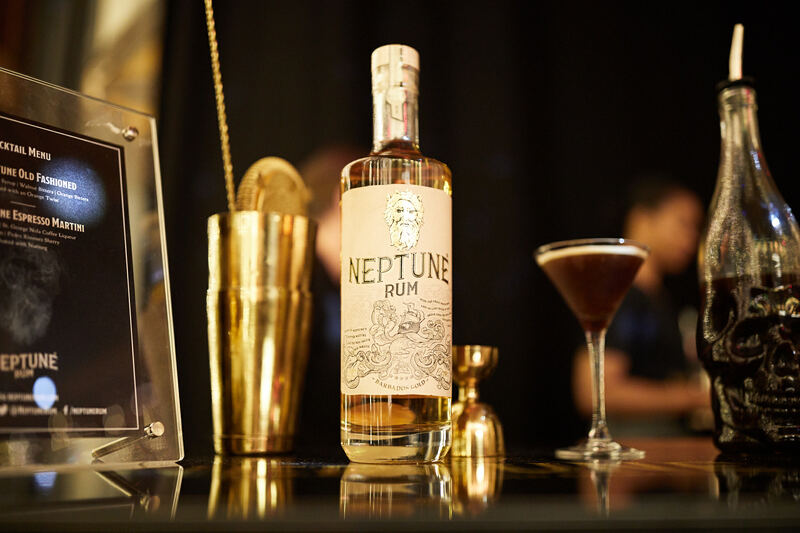 The final part of this process is a top-secret method, unique to Neptune rum, which consists of a specific cold filtration process and the addition of a soft spring water sourced from a secret location in Europe. This proprietary process is essential to the smoothness of the spirit – the result is that Neptune rum surpasses other premium and more expensive rums in terms of drinking experience. It also contains no added sugar or chemicals – just pure, authentic golden rum from Barbados. Golden in colour, the smooth spirit has a peppery warmth that blends into balanced notes of ripe banana and toast with hints of vanilla, honey and nutmeg. Bold in flavour, the rum is extremely palatable due to its aging in the American Oak barrels. Perfect for a simple serve neat (as the sailors would drink it) or on the rocks, Neptune is also a welcome addition to a variety of cocktails – or even served with tonic as a twist on the traditional G&T (make sure to add a dash of orange Angostura bitters) – after all rum is the new gin! Other serving suggestions include mixing with Fever-Tree Spiced Orange Ginger Ale to enhance the warm notes or with its Madagascan Cola to bring out the vanilla flavours. Neptune shines in cocktails, bringing a new depth to classic drinks. 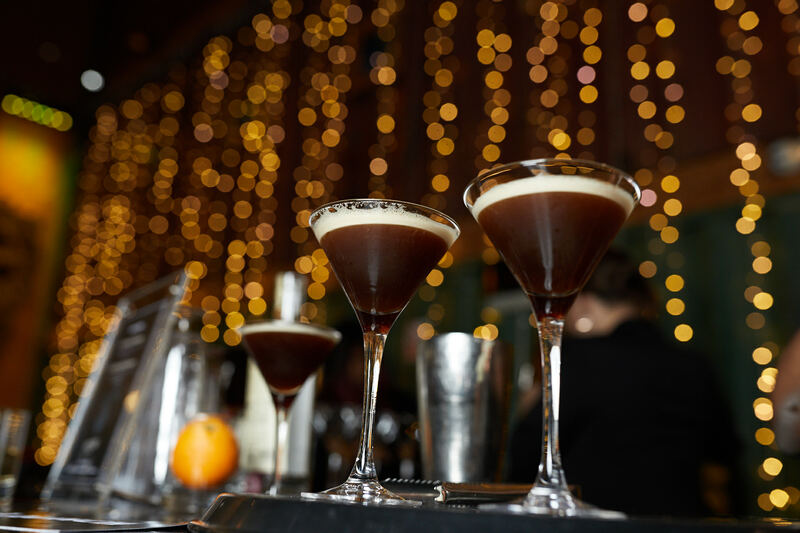 Try the Neptune Espresso Martini: mix 50ml Neptune Rum, 25ml high quality coffee liqueur, 25ml espresso, 25ml sugar syrup, add ice and shake. Strain and pour into a chilled martini glass then lightly dust the foam cap with freshly grated nutmeg. The Neptune Old-fashioned showcases the smoothness of the rum deliciously. Mix 50ml Neptune Rum, 1 bar spoon of sugar syrup, 2 drops of Angostura bitters, and 2 drops of orange bitters. Stir vigorously and strain into a double rocks glass over one large ice cube. Garnish with an orange twist and a Maraschino cherry. Pay homage to the God of the Sea and experience the new, authentic Barbados golden rum!